Whether you would simply like to avoid embarrassment when you’re with French people or you have loftier goals of becoming a shining example of politeness and courtesy when you’re in France, this ultimate guide to French politeness is what you’re looking for. I. 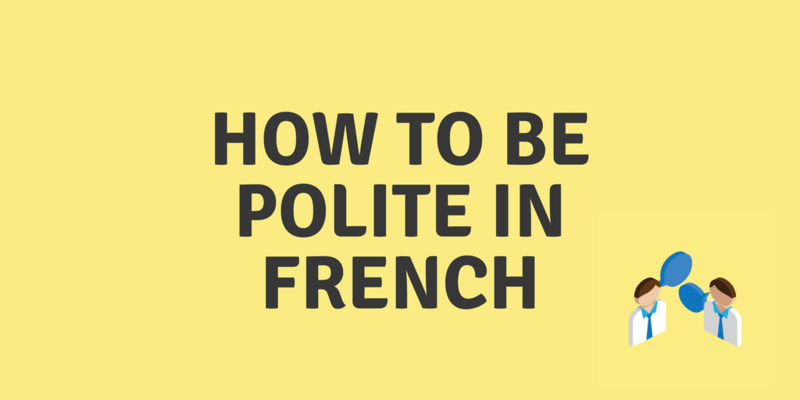 How polite are the French and what is expected of you? Should you use Tu or Vous? When Should You Faire la Bise? What is the Proper Way to Faire la Bise? How many cheek kisses should you give? While some people have the idea that French people are rude and obnoxious, it’s all just part of a grand misunderstanding. People in France are actually some of the most polite and courteous people, and even with a bare minimum knowledge of French words, you can have a wonderful time in France if you know the very basic words of politeness and courtesy. You see, being polite is incredibly important to the French and everyone adheres to this code of conduct. Just a simple bonjour would open doors for you. When you’re entering a shop, say bonjour to the shopkeeper, when you board a bus, say bonjour to the driver, in the morning say bonjour to your co-workers, and so on. If you don’t, chances are high that you will be misconstrued as impolite and give the wrong impression. Also use liberally basic words such as merci and s'il vous plaît. Uttering these will go a long way for you and will make you realize that contrary to stereotypes, the French can be quite gracious and accommodating, too! Always address people as Monsieur, Madame or Mademoiselle unless you are invited to be on first-name basis. This may sound overly formal, but when you’re in France, it’s best to err on the side of formality. First names are generally reserved for family and friends, so never assume that it is okay to use a person’s first name unless you are already quite familiar with the person. Even then, you should still ask if it is alright. Use Monsieur when addressing adult men, Madame for all adult women (regardless of whether married or single as long as they are over 18 years of age), and Mademoiselle for females below 18 years old. An exception is with waitresses, which are addressed as Mademoiselle. This part is very tricky and has so many rules. For a more detailed guide on when to use tu and vous, check out this article. Here are some words and phrases to learn by heart if you wish to be courteous in France. mille fois merci thank you so much it literally means "a thousand times thank you"
de rien you're welcome it literally means "it's nothing"
Excusez-moi de vous déranger I'm sorry to disturb you literally, "excuse me for disturbing you"
bon appétit ! enjoy your meal ! On peut se tutoyer ? Can we address each other in more familiar terms (using tu or 2nd person singular)? When you are not sure whether it's OK to use tu or vous with a person you are already familiar with, you can ask the person by saying "On peut se tutoyer ?" The kiss (or kisses) on the cheeks between two people is called faire la bise and it is a common cultural practice in France. People kiss each other on the cheeks to say hello or goodbye and this should never be thought of as anything more than a friendly gesture. This casual act could be comparable to a friendly hug in other countries, which interestingly enough, is considered more intimate by the French than a kiss on the cheeks. Hugging is quite uncommon in France and could be uncomfortable even between friends. The idea of la bise might seem pretty confusing for non-French people. In fact, it could be perplexing even to those who have already stayed for a while in France. How many cheek kisses should you do? Should guys kiss other guys, too? Should you kiss EVERYONE in a large group? For some people, these questions would be enough to give them a major anxiety. Not to mention that faire la bise can quickly turn awkward for the uninitiated. Hopefully, this short guide would shed off some light into these legitimate concerns. If you're a woman, you can kiss the cheeks of both male and female friends, acquaintances, and family. Even with people you are still in vousvoient terms with (not familiar yet), a faire la bise is still the proper thing to do. If you’re a guy, you can faire la bise with female friends, acquaintances, and family. But between two adult males, it is done only with close male family members, and close male friends. Two male friends do not usually faire la bise but it happens. ​You don’t kiss the cheeks of strangers you just met. But for example, when you’re introduced to your friends’ other friends, faire la bise is expected. ​When you're at a party with a group of friends, it is better to faire la bise with everyone to avoid offending anyone in the group. For adults and teens/children: Adults will only faire la bise with youngsters that they are close with. Between kids/ teens: it is quite common for kids and teens of both sexes to faire la bise, even between teenage boys. When in doubt, just follow the other person’s lead or mimic what the other people in your group are doing. First, lean in slightly to the right and touch your left cheek with the other person’s left cheek then make a light kissing sound. While some would say that you should kiss on the right cheek first, don’t worry too much about it and instead take cues from the other person and adjust accordingly. The answer to that would depend on which part of France you are in, although the most common is two kisses, one on each cheek. The number could vary from one to five. So take your cue from the people around you. To give you an idea on how tricky the number of kisses could be and give you a guide depending on which area, check out http://combiendebises.free.fr/. 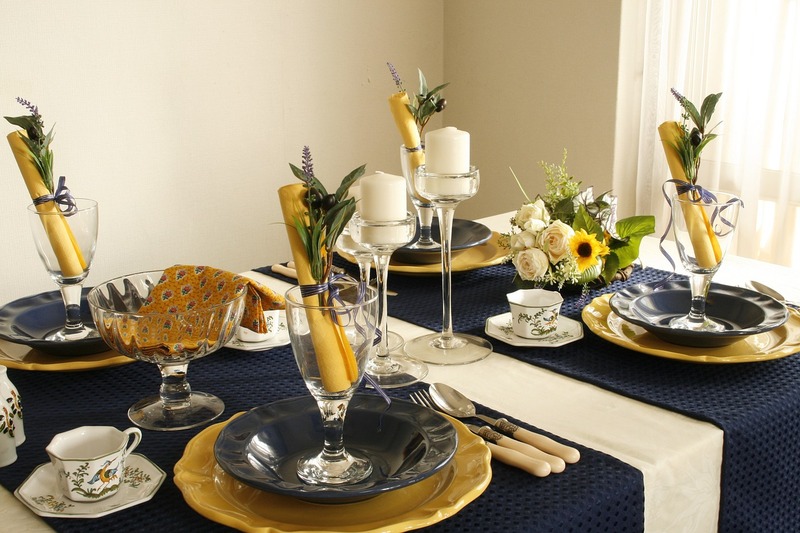 When invited to a French person’s home, bringing a gift would be considered a sign of good manners. You could bring a bottle of wine, cheese dish, chocolates, or any other similar gifts. If you are staying over from abroad, you can also bring a gift from home. French people tend to be a bit more formal when extending an invitation to visit their home, and even more if you’ll be invited to stay in their home. When this happens, treat it as a special invitation. 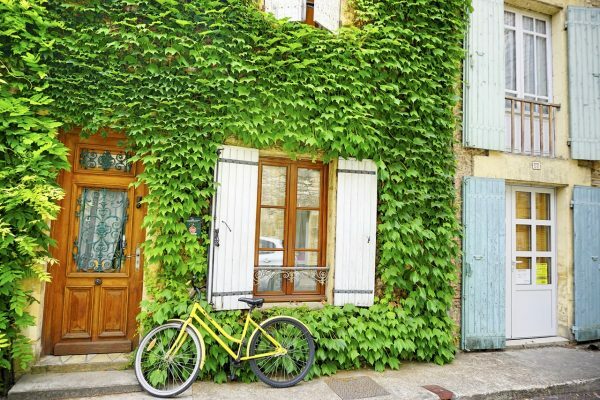 French homes tend to be smaller than homes in, say, the U.S., and French homes don’t always have a spare guest room so don’t expect a private bathroom or a big guest room with a giant bed. A lot of French homes only have one bathroom and the hot water isn’t unlimited, so it is polite to ask beforehand if there is enough hot water before you take a luxurious hot bath or a long hot shower. If your French host lends you a towel, it will be used for the rest of your stay so dry it between uses, and before you leave, fold it properly. In cases where there is no centralized air conditioning and you’ll have to open windows to let the air inside, make sure to close it when you leave. Even though it is not expected, ask your hosts how you could help out. You may have to insist a bit, but it is considered thoughtful and polite. For younger guests, helping with the chores would be appreciated. Be generous with your compliments. French people put a lot of thought into the decor in their homes and especially with their cooking so a small remark about it would be appreciated. A little comment like C’est joli chez vous (You have a nice home) would be warmly received. To thank your hosts for their efforts in accommodating you, you could treat them to lunch or dinner or give a parting gift such as a bottle of wine. Its up to you. Thank you notes are less common but it’s also a thoughtful act. French table manners requires a lot of discussion because let’s face it, the French can be quite strict and formal when it comes to eating. There are a lot of rules when it comes to French dining etiquette, but here, we’ll just run through the most important ones. Do take your time. Eating should not be rushed. Take your time to savor the food and the company. When invited to dinner in a French home, do sit where the host tells you to or where the place card indicates your name. Do not seat yourself wherever you please. A seating arrangement is usually decided beforehand. ​Do sit with your partner across from you. When sitting by yourselves, couples sit in facing each other, not next to each other. Do pull out a woman’s seat for her, if you are a man. Do hold the knife with the right hand and the fork with the left. Do put the knife and fork parallel beside each other on the right side of the plate after your meal. Do pass the dishes to your left. Do eat all the food on your plate. Do pay for the meal if you are the one who invited the other person out. But in some cases, other circumstances would determine who pays, such as for example, the older person or the one with the higher rank. Don’t keep your hands under the table. Keep it visible on the table at all times. Don’t make noises such as chewing, slurping and burping when you’re eating. Don’t touch cheese with your hands. Don’t spread foie gras with a knife. Instead, place a slice on your bread and then eat it. ​Don’t remove the skin off cheeses like brie or camembert. Don’t lick your knife or fork. Don’t speak loudly in a restaurant. Speak in hushed voices when in a public setting such a a restaurant. Don’t ask for second servings. Don’t finish your drink in one gulp. Take small sips. In the same vein, don’t finish all your food in a few seconds. Take your time to enjoy it. If you want more background into French Eating Habits, check out the article below. France is a very polite society and the French put a high importance on politeness and courtesy. So when you are in France or around French people, try to bear in mind the tips in this article. I assure you, it matters a lot. Bonjour is a very important greeting that you must always remember to say before anything else. Also remember the magic words merci and s'il vous plaît. Always address people as Monsieur, Madame or Mademoiselle unless you are invited to be on first-name basis. Use tu and vous properly. The kiss (or kisses) on the cheeks between two people is called faire la bise and it is a common cultural practice in France. There are rules on when and whom to faire la bise as well as the number of kisses. When in doubt, just follow the French person’s lead. The rules in begin a gracious guest in a French home is universal. Mostly, it requires thoughtfulness and appreciation on your part as a guest. French people put high importance on dining etiquette so be mindful of the do’s and don’ts in dining when you’re invited to dinner with French people. 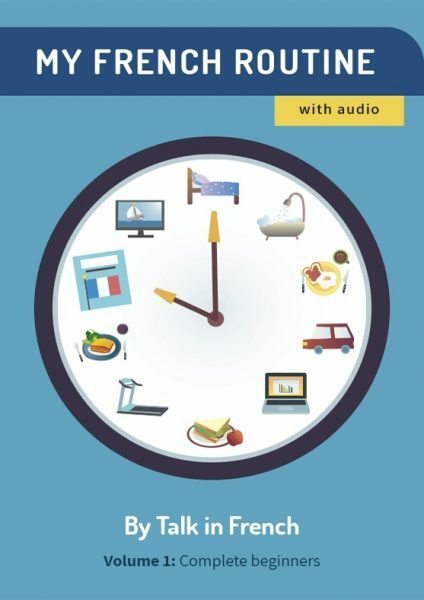 For more useful phrases that you could use when you’re in France, check out the French Phrasebook that comes with a FREE audiobook. Previous Post 40 Essential French Phrases to Master Before You Head Off to France Next Post Can You Pick the Correct Words in This Confusing French Word Pairs Quiz?